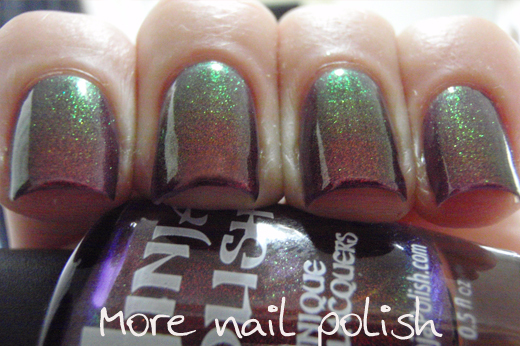 When I received my replacement bottle of Mystic Glacier from Ninja Polish, I was so excited to discover that the ladies had popped in a few other polishes for me to review on my blog. One of the polishes was Ninja Polish Divinity. Divinity has the same red to green colour shifing shimmer that is in Mystic Glacier, but this time in a purple jelly base. 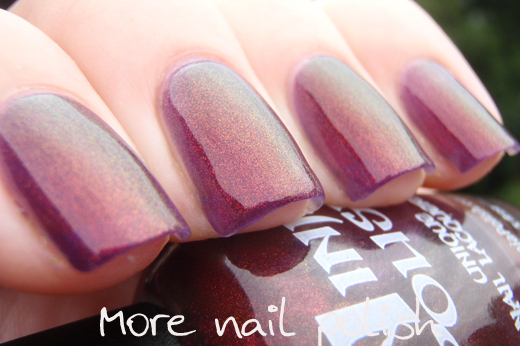 The base colour in nicely pigmented and the shimmer is really dense, so you can get away with only doing two coats. I remember back when I was first playing around with the red to green colour morphing powder, and I created a franken dupe of Clarin 230. 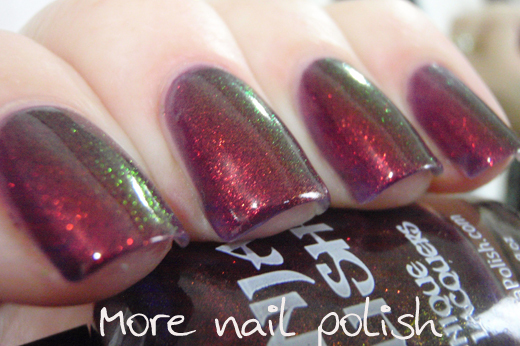 That franken was basically red to green pigment in a purple base. 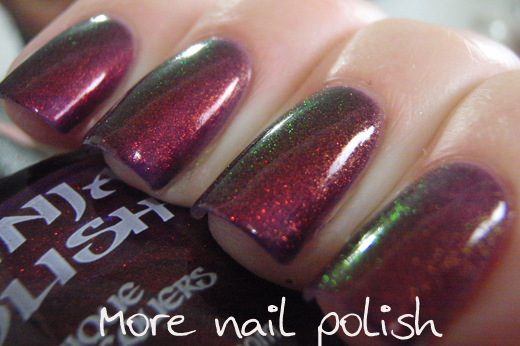 This polish is definitly along those lines, but it's actually so much better, because it doesn't skimp on the colour changing shimmer. 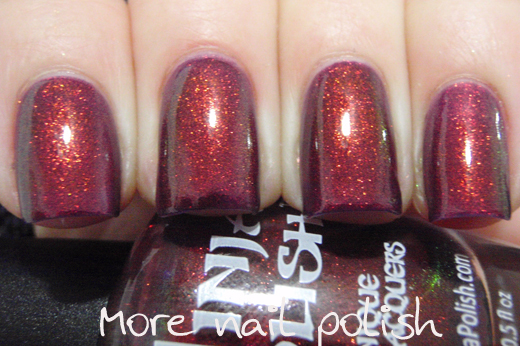 The shimmer is so dense at two coats that it actually makes the polish look red. 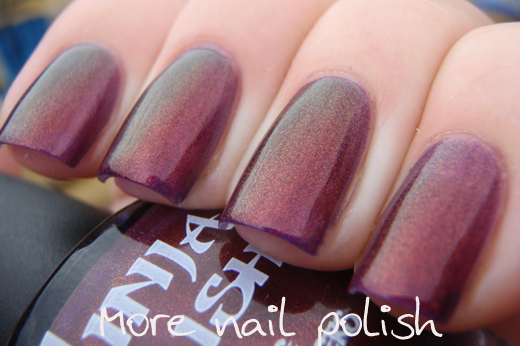 Divinity is available from Ninja Polish. They are currently out of stock, so you should sign up to the email to find out whent they restock. I love this colour! Stunning!